The Braun washable pocket shaver is an extremely affordable portable shaver for when money is tight, or you need a second shaver for travel or gym. 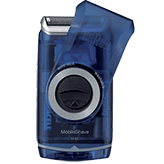 This small shaver is pocket sized, and is covered with a clear dark blue case that allows you to see into the interior of the shaver. Based on customer reviews, this is a popular shaver. You’ll be surprised at how well it shaves. 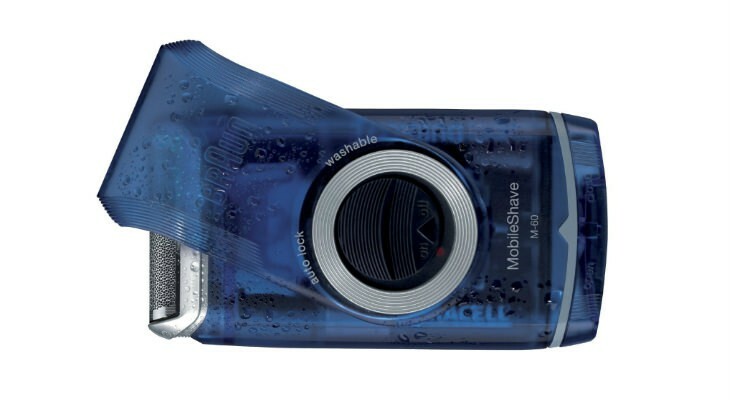 The shaver has a multi-purpose twist cap that protects the foil head. This swivels down, and becomes part of the body. 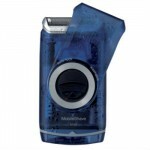 This enables you to hold onto the shaver much easier, but conserves space in your bag or backpack when it’s closed. The Braun pocket shaver features a wide floating foil, so it shaves a large surface of the face in one pass. This Braun M60B shaver is operated with batteries, rather than needing to be plugged into the wall to charge up. You still have the option to use rechargeable batteries if you wish. It takes AA batteries. Most likely it will do better on high-quality rechargeable batteries, than with cheap dollar store brands. This allows you to use your shaver while on the road, traveling, or at gym or school, without having to worry about carrying a bulky charging cord or charging unit around. It’s also a great choice for longer-distance travel. The Braun washable pocket shaver can also be used wet or dry. You can use it under the running tap, or bring it into the shower with you. It can also be used with shaving foams, gels, creams, and lotions. 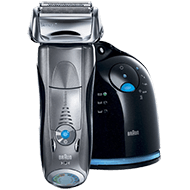 After shaving, the Braun shaver can be easily rinsed off under the tap. 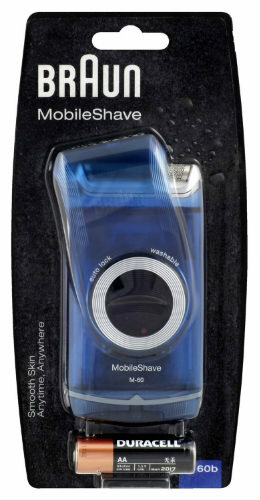 For the best shave use this portable shaver in the shower and with gel or foams. It’ll do the job, but certainly isn’t going to get you the most perfect shave such as from a more expensive model. 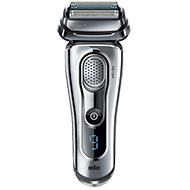 This shaver may not be able to get some of the most difficult hairs on your face, such as the ones that lie flat against your skin. If you don’t mind a few stray hairs, this shaver may be for you. For some men, the Braun portable shaver may work best as a back-up shaver, for when you’re on the go. Toss it into your bag, or backpack, for whenever you need to do a quick shave. Braun has cornered the market for affordable shavers. 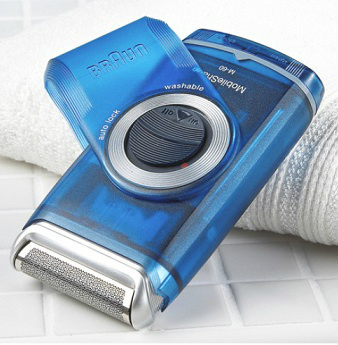 The Braun pocket shaver M60B can be purchased for a cheap price. Batteries are also included in the price of this shaver. The Braun battery operated washable pocket shaver is designed to be used by men, but the ladies may wish to toss this one in their pack for touchups after a gym workout. The Braun battery operated washable pocket shaver is a great bargain, but may not be for everyone. This model does not come with a pop-up trimmer, so you’ll have to carefully maneuver it around your face to get all the hairs.